The closest you'll ever get to 1400s Bohemia. 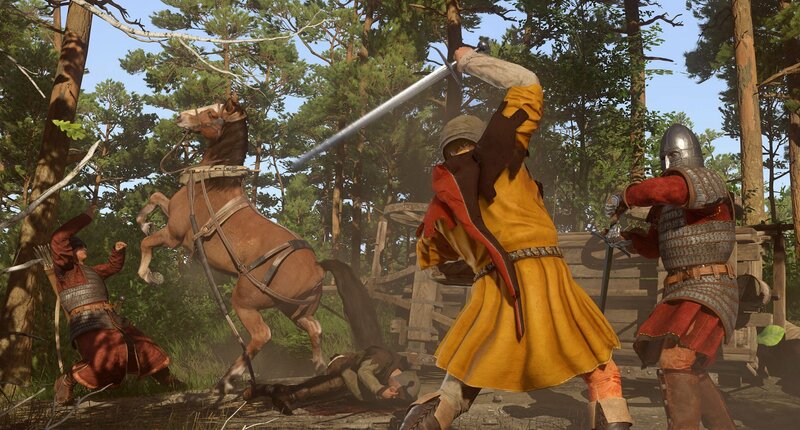 Kingdom Come: Deliverance is an RPG with an intense focus on realism. The monsters in this game are lacking in both fangs and claws. Instead, they’re regular people who become capable of unspeakable acts during times of war and strife. 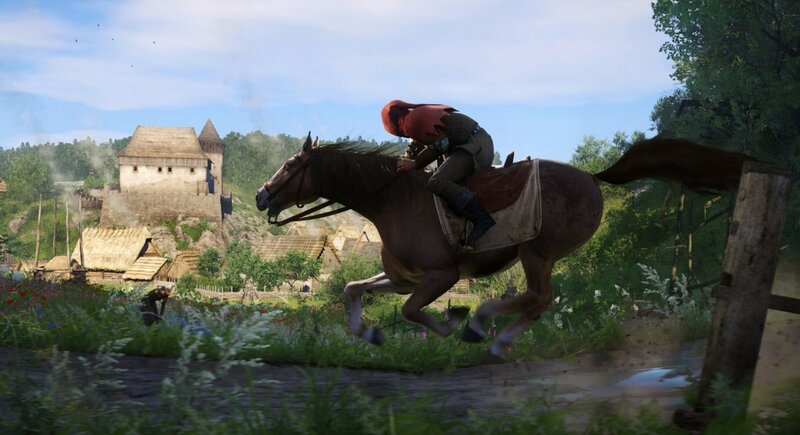 Inspired by real events, Kingdom Come: Deliverance has little trouble whisking you back into the classical realm of 1400s Bohemia. There, you become acquainted with a wide cast of characters including protagonist Henry. Henry isn’t exactly “hero” material, yet as the game progresses, you’re given the unique opportunity to help him come into his own. Whether you choose to make Henry a drunkard or a warrior is entirely up to you. The premise of a historically accurate RPG helped captivate the attention of gamers looking for a different experience. Following the full release of Kingdom Come: Deliverance, the primary question stands: does the game’s unique approach to the RPG genre help set it apart, or bury it in the 15th century mud? Let’s take a closer look! The story of Kingdom Come: Deliverance helps immediately differentiate the game from other RPG staples like The Witcher or Elder Scrolls series. You won’t find any magic or fantasy elements within the game’s sweeping storyline. Instead, you’ll find yourself occupying the role of an average – yet tragically inept – young man named Henry who has the misfortune of finding himself caught in a time of dangerous political upheaval. As open as the game’s world is, you’ll end up learning a lot about Bohemia during your time in Kingdom Come: Deliverance. On average, gamers will be able to extract a solid 60 hours or more from the game, with much of this time being dedicated to the game’s intricate story arc. Don’t believe us? We spent nearly 4 hours in the game’s “tutorial” phase alone. Not because the tasks (including throwing dung at your enemy’s home) were particularly challenging, but because there’s a lot to learn and soak in story wise. This knowledge is relayed via copious amounts of exposition, all designed to make you feel like an active participant in the game’s historical setting. The longer we played through Kingdom Come: Deliverance, the more we wound up reminiscing on past trips taken to our town’s local renaissance faire. In a nutshell, a renaissance faire is a community activity where people recreate life back in medieval times. You can drink mead, watch joust re-enactments, and get a nice break from the general hustle and bustle of modern times. The atmosphere in Kingdom Come: Deliverance definitely has the same “dirt and grime” feel which gradually accumulates while walking through your typical renn faire. The game isn’t particularly polished or pristine, yet this manages to help the game come into its own rather than hinder it. Well, aside from the bugs. 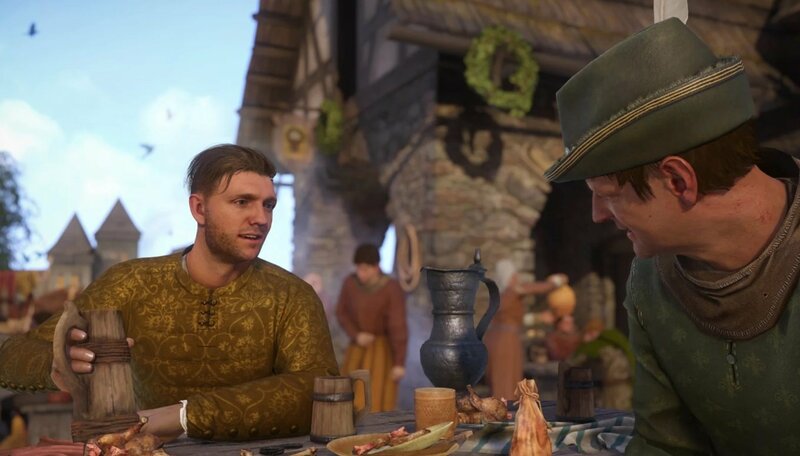 One of the biggest complaints you’ll stumble across in reviews for Kingdom Come: Deliverance has to do with the game’s collection of bugs and glitches. On the one hand, it’s understandable to feel turned off by a game that doesn’t run as smoothly as other RPGs on the market. Especially when that buggy game is priced at $59.99. However, you have to keep in mind that despite its numerous bells and whistles (and publisher Deep Silver), Kingdom Come: Deliverance is still an indie game at heart. Developed by Warhorse Studios, the indie company was founded as recently as 2011 and is currently located in the Czech Republic. Their first game? Kingdom Come: Deliverance. With that in mind, it’s worth giving Kingdom Come: Deliverance the benefit of the doubt. Some of the bugs may be hard to overlook, but they’re no worse than the bugs we’ve stumbled across in other AAA “mass market” RPGs (looking at you, Fallout 4). What’s more, the developer is clearly invested in this supporting this ambitious title. This can be seen in the massive day one patch which launched alongside the game and weighed in at over 20GB. As such, we can’t help but feel as though the bugs (as bad as they may be) will soon be cleaned out with yet another massive patch courtesy of Warhorse Studios. At the end of the day, Kingdom Come: Deliverance won’t appeal to everyone. The storyline is massive and complex, not unlike what you’d find in George R.R. Martin’s series, A Song of Ice and Fire. It’s interesting, and despite offering few plot twists, will keep you engrossed even if you decide to skip through pieces of dialogue here and there. Having Henry as the game’s main character is an interesting move, as he’s anything but special. However, this serves to make more him appealing rather than dull. He’s just another citizen of Bohemia caught up in the chaos of war; a concept that helps you connect with him despite the lack of character customization. You want to see Henry make it through to the end, which will likely take you well over 60 hours to reach. There are bugs, but these bugs can be forgiven when stacked against the raw ambition of Kingdom Come: Deliverance as an indie title. Overall, Kingdom Come: Deliverance is well worth your time and money thanks to its unapologetic realness and refreshing freedom.